Alienware 17 and the Razer Blade Pro, which one should you choose? Picking between these two titans of computer processing is very, very difficult. It’s not because they have higher costs than other PC’s or because they have components that are far better than other models. Which is the best of the best? That’s what we’ll figure out in this article. One of the biggest investments that people make these days is in their technology. However, it’s hard to pick between the two because they have such solid designs, specs, and applications. 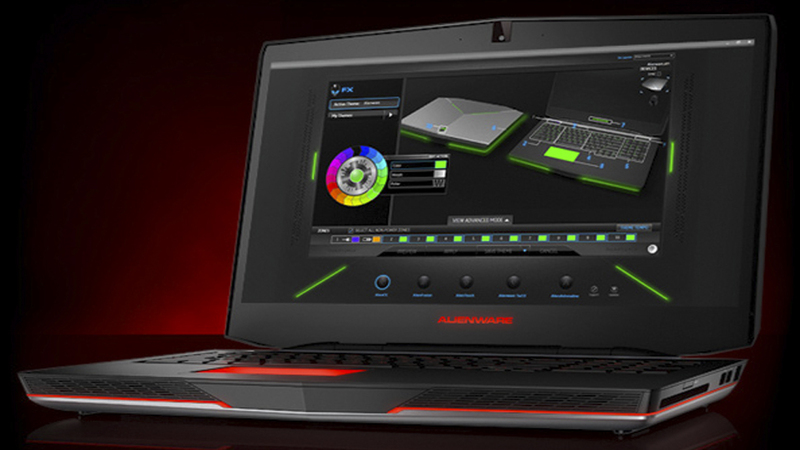 Alienware is known for having high-quality PCs with lots of graphics power and awesome builds. That being said, Alienware 17 comes in considerably cheaper than the Razer Blade Pro- with pretty similar specs. The Razer Blade Pro is much, much lighter and has a lot of awesome custom features (but it’ll cost you a lot more). Alienware 17 is built for success. It’s smooth, sleek, and makes a great contrast between the lights mounted under the keyboard and logo especially if you’re using it at night. It’s extraordinarily sturdy, weighing in over 8 pounds. This might sound heavy (especially compared to the Razer Blade Pro that’s less than an inch thick and about 6.5 pounds). The Alienware also has one of the best displays at around 17.3 inches. With a 4K display and sharp, bright colors, you’ll love playing practically any game (even the newest graphics requirements). It’s also designed with an Intel Core Quad Processor, Dual Channel DDR3, and Intel HD resolution. Along with these features is the NVIDIA GeForce GTX Optimus Technology. 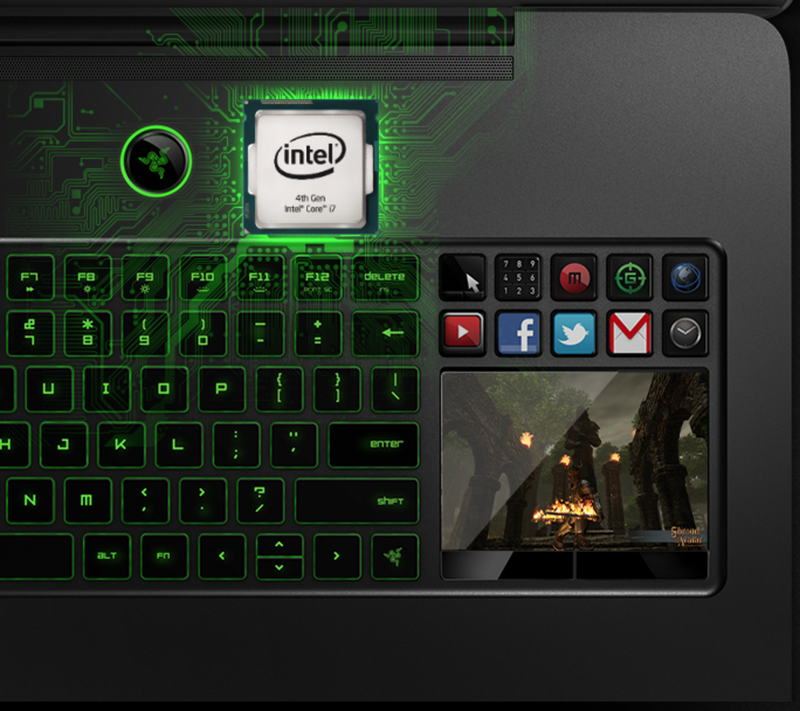 One of the biggest standout features of the Razer Blade Pro is the Switchblade user interface. It makes everything more efficient; operating the high grade design and key pressing. Plus, it’s amazingly responsive to your touch- making it one of the best choices for gamers looking for more natural, intuitive game playing. It’s also equipped with an anti-ghosting keyboard, preventing you from pressing the wrong buttons on accident. Each computer has features that make them standouts. While the Razer Blade Pro has a lot of different features, as well as the 10 feature touch-screen mouse pad. Plus, the touch point thermal engineering keeps it cooler than the Alienware. 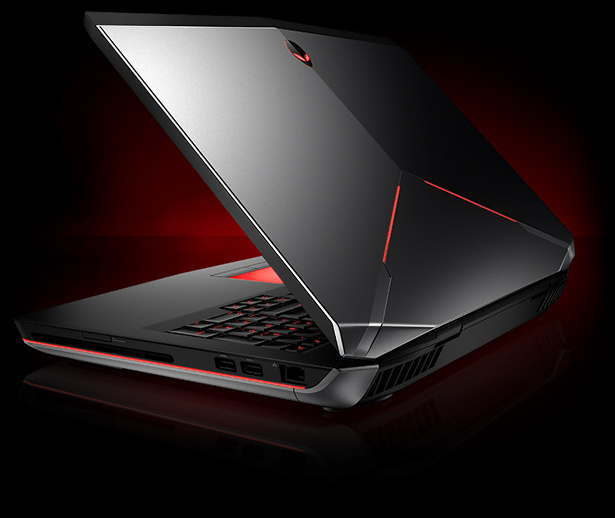 That being said, the Alienware model is nearly half the price (which might make most of your purchasing decision).